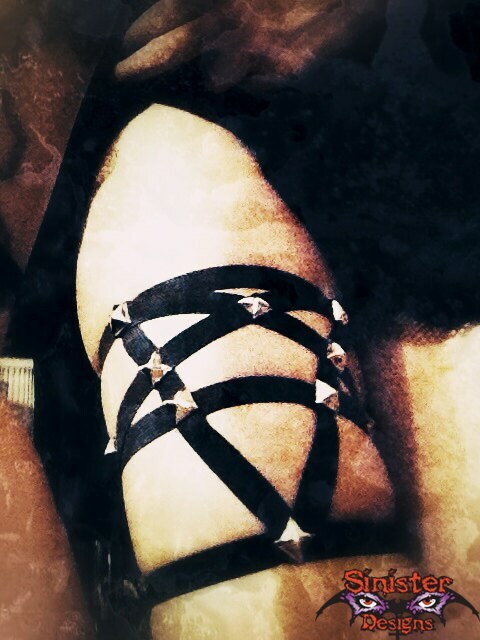 Handmade garter with studs. 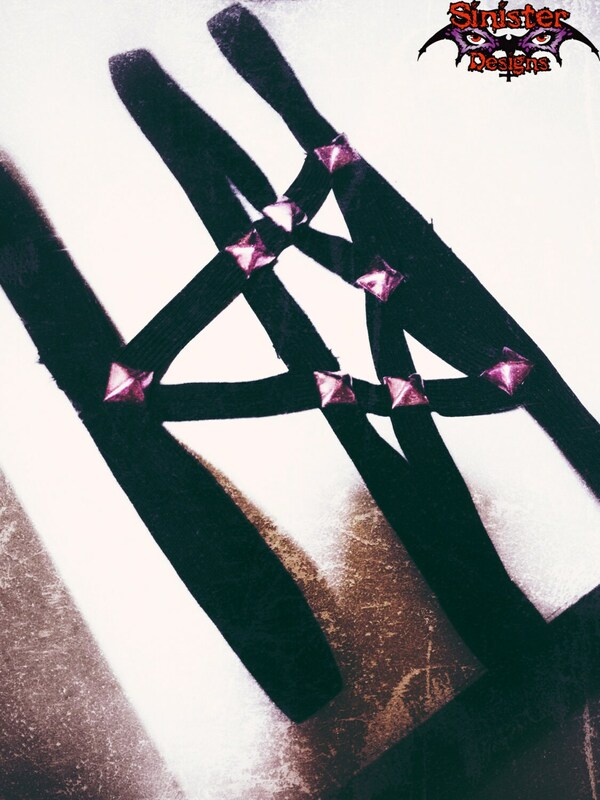 Can be made with silver, red, pink , blue or purple studs. Made to fit you so please leave your upper thigh measurement at checkout in the note section. If you fail to include your measurement and don't get it to me within 48 hours of ordering, I will make and mail out any size. This is to insure the customer gets their order in a timely manner and to avoid work pile up for me.